The Indian cricket team has a new set of sponsors for its jerseys. Chinese smartphone maker Oppo is the latest sponsor for the Indian cricket team, having signed a five-year contract with the BCCI for Rs. 1079 crore earlier this year. The title sponsor for the IPL this year was Oppo-competitor Vivo, which signed a two-year contract with the BCCI. 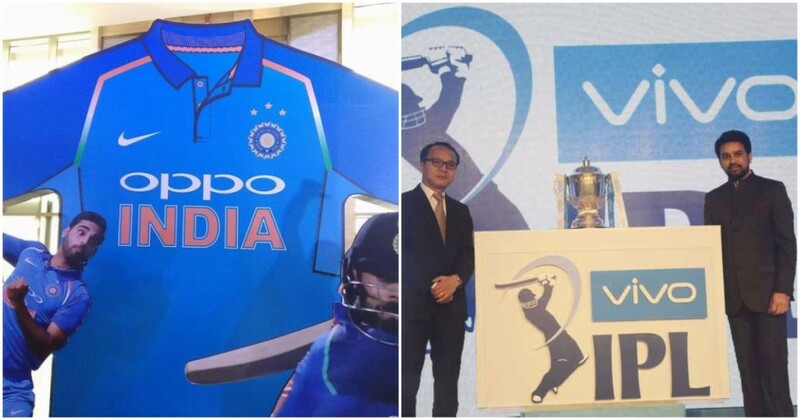 Chinese companies now have the sponsorship positions for two of the most lucrative positions in Indian cricket, but what’s more remarkable is that Oppo and Vivo aren’t different companies — they are both subsidiaries of the same Chinese company, BBK Electronics. Chinese Electronics giant BBK Electronics owns several brands, including Oppo, Vivo, and even high-end smartphone maker One Plus. BBK Electronics was founded in Dongguan in China in 1995, and manufactured television sets, MP3 players and digital cameras. In 2008, it created a brand, Oppo, to manufacture phones. Vivo was founded in 2009 as another sub-brand, and it started manufacturing smartphones in 2011. In 2014, Vivo entered the Indian market. And through a combination of aggressive marketing and aggressive pricing, Chinese companies have quickly made a dent. 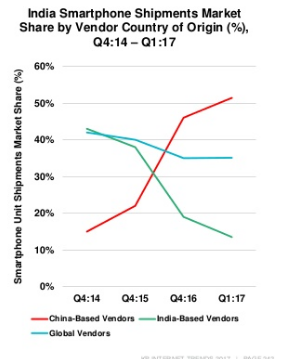 In 2014, Chinese smartphone manufactures contributed to just 15% of the smartphones sold in India, but their influence has grown — in 2015, the number had risen to 20%. In the fourth quarter of 2016, this number had shot up to nearly 50%, and by the first quarter of 2017, Chinese smartphone manufacturers — which include the BBK Electronics brands, as well as Xiaomi, Lenovo and Gionee — became the majority of the Indian smartphone market. This growth has come at the expense of Indian players like Micromax, Lava and Karbonn, which have seen their market shares erode with time. And with their big marketing budgets, it’s unlikely the Chinese juggernaut is going to stop. Cricket offers some of the most coveted marketing collaterals available in the country, and to have a single company control both the sponsorship of the national team and the T20 competition shows how serious BBK Electronics is about dominating the Indian market.